This LP has 106 parts. 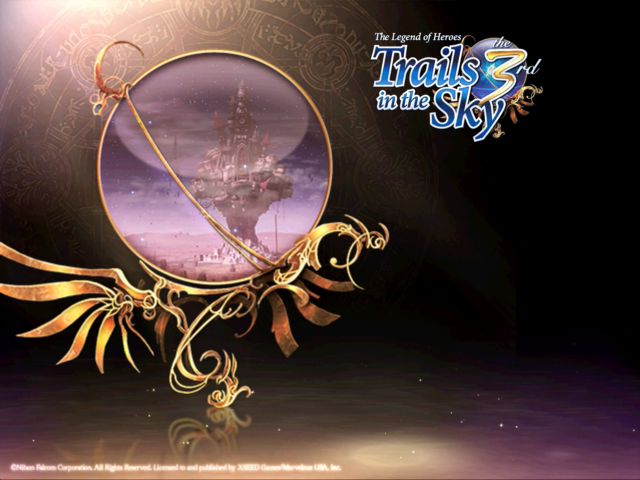 The epilogue installment of Falcom's Trails in the Sky JRPGs is finally out in English. Trails in the Sky the 3rd does away with some major conventions from the first two games: Estelle and Joshua Bright are no longer the main characters. Instead of roaming more-or-less freely around the regions of the Liberl Kingdom, The 3rd takes place in a huge linear dungeon much like the Altered Spaces from SC's Chapter 7. There are far fewer surprisingly-intricate backstories for random faceless townsfolk. Sidequests are a thing of the past, and you only ever have one goal: to fight your way through the dungeon and escape. 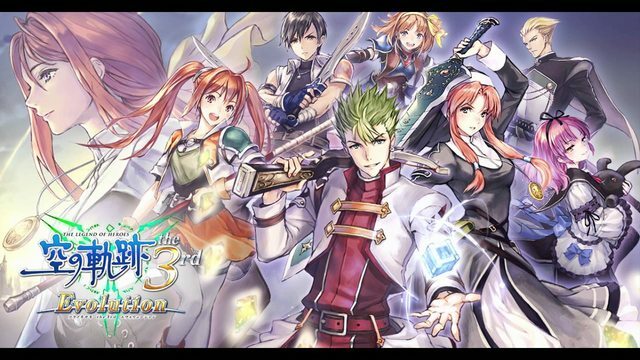 That must sound like a recipe for disaster, but I'd say The 3rd is the best yet--a wonderful send-off for the Trails in the Sky series and all the characters I've gotten to know and love. I'm going to assume that anyone reading is already familiar with Trails in the Sky FC and SC, because...well, you kind of need to be if you want to have any bearing on what's going on. I sure wish every job I had was this easy. Meetings ordained by the Goddess always come suddenly and unannounced. Don't go getting your hopes up. Nothing of interest's gonna happen. Behold! The most powerful force in the universe! So the time to begin is finally upon us. To hell with it! Not like we got any better options! You're a knight. Do your job. Just how long does this place go on for? We have enemies in this place...and it's not just the fiends. What happened to the capital while I was away?! I fear I may have underestimated just how bizarre a situation this is. So one of the stars of the show makes his grand appearance. That was a truly delightful spectacle. How have I managed to survive being twisted around your fingers for so long? All we can do is keep looking for answers. It seems our enemies have quite literally opened the gates of Gehenna. When are you going to stop acting? I wouldn't be a good big sister if I didn't look out for my little sis, now, would I? I'm in. Let's get to work. It's time to seriously focus on getting out of this place and back to the real world. I can't help but feel my being here is a mistake of some kind. You must REALLY want to end up splattered all over the floor. And here I thought we were finally going to get an answer. So our friend's left us a message, huh? I guess this is just fate or somethin'? I can only hope that I don't disappoint. Are we even going to be able to go home...? What a cruel twist of fate that we should meet again like this. Now, right down to business, Kevin. Whoever we end up facing, we'll find a way to win. Don't count yourselves out just yet. I hope you're ready for this! Don't hold back! Show me what you've got! Defeat me. That is all. I'd appreciate it if you would all lend me your strength. This place really has been full of memorable experiences. Let's get this over with so these guys can move on! Very well, then--do as you will! Defeat me, and break this mask! Fate truly is a funny thing. Once we step through that door, there'll be no going back. This is practically another day for me now. Well, I suppose that's enough exposition for now. It's time to truly bring an end to what was started half a year ago. I wonder if this is a coincidence, or maybe even the will of the Goddess? Unbelievable... How did that end up being recreated in Phantasma? From now on, I will be the star of this show! That Lord of Phantasma really does know how to shake things up. I think we've reached our destination. How do you expect to defeat me? This is the last thing I'll ever ask you to do. In the thousand years the Gralsritter has existed, that's not something that has happened often.